There are a couple of definites in Singapore. Heat and humidity is one and high-end shopping as far as the eye can see is the other. These were exactly the same when I first visited Singapore way back in the late 70s, but back then there was also still an enormous amount of character. Lots of the old buildings were still standing and it was possible to go out and have a great night out without spending a fortune, eating in streetside cafes where the food was cooked there right beside you. Locals would mingle with the tourists and visitors and it had a really good mix of old-fashioned and cutting-edge. 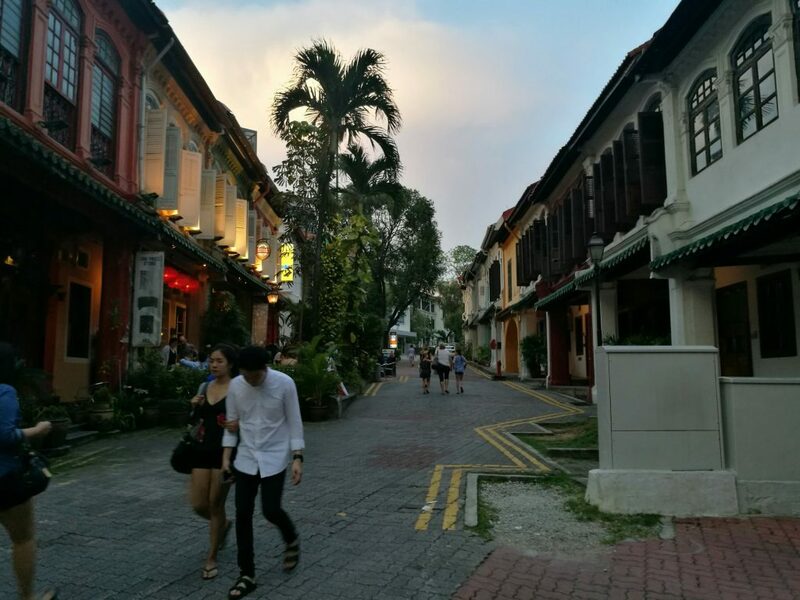 Our most recent visit showed how much Singapore has changed over the decades. There’s no disputing the fact that Singapore is impressive! The architecture, the infrastructure, even their airport… everything is done on a grand scale and it all works – beautifully. However, nowadays, instead of walking the old streets, taking in some of the history of the place it’s more a case of walking the promenades, admiring the towering skyscrapers, elaborate sculpture, acres of glass shop frontages with elaborate LED lighting displays showing off top-end designer goods and driverless trains darting around their subway system. 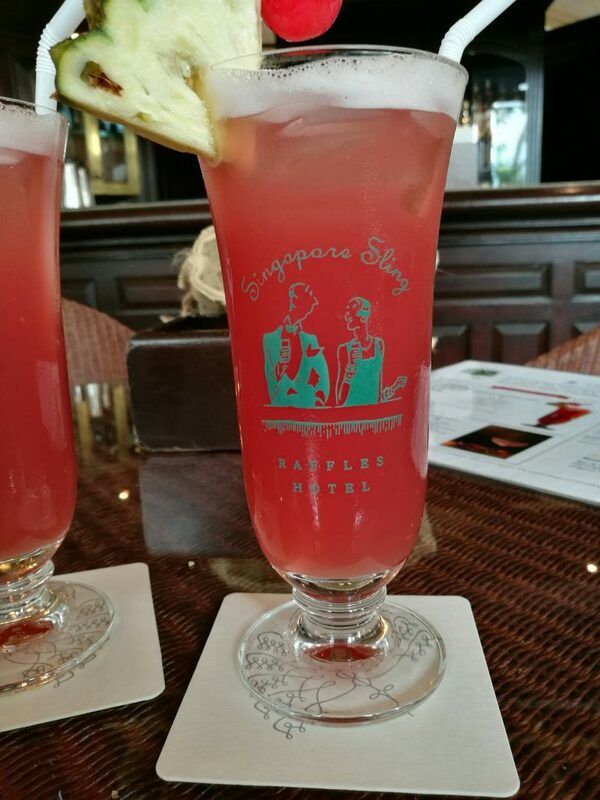 There are still a few little pockets of traditional Singapore dotted around; Raffles Hotel for example, though undergoing a major refurbishment, is still there serving afternoon teas and Singapore Sling cocktails in its old colonial buildings. However, just across the road is Raffles City, a multi-storey shopping mall covering an entire city block and even having its own station. The riverbank around Clarke Quay and the Fullerton Hotel also give glimpses of Singapore’s glory days. Dare I say but even Chinatown has lost a bit of its character and fun. 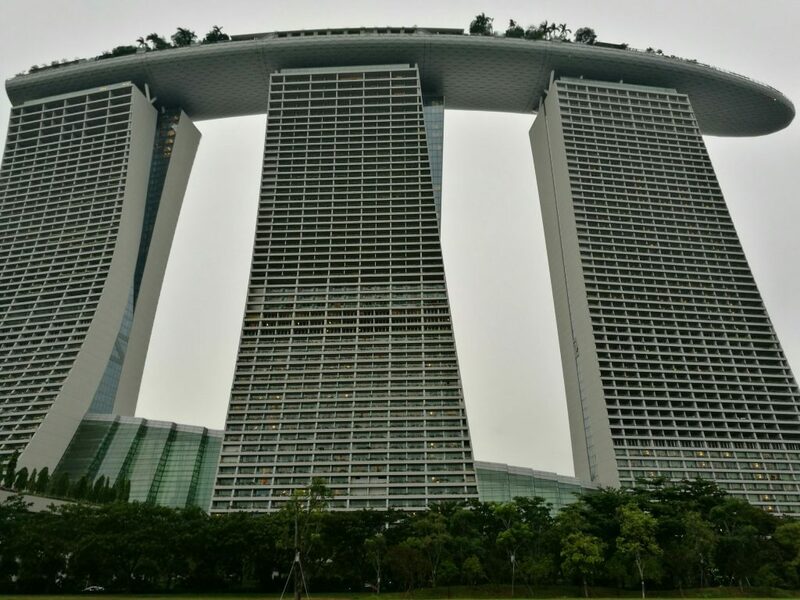 We did spend an afternoon exploring ‘New’ Singapore, starting at the Marina Bay Sands complex and rounding it off watching the light shows in the Gardens by the Bay, with their steel ‘trees’ and driverless cabs scooting around. Marina Bay Sands has to be seen to be believed. 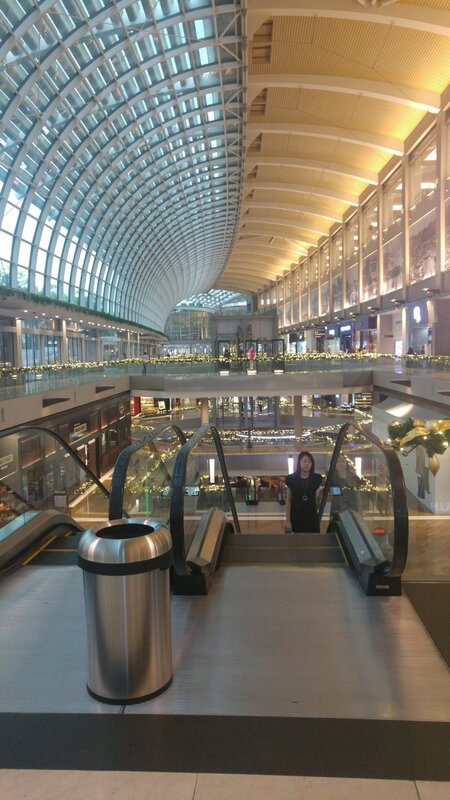 As well as the three towering blocks of the hotel with their ultra impressive Sky Park perched atop, there’s a shopping centre that seems to go on and on for miles. By the time we got there it was all festooned in its Christmas regalia, with towering gold Christmas trees all over the place, lakes and fountains, a huge rainwater drain that empties into a boating pond on the lower floor. Don’t go shopping for anything there unless you have a particularly fat wallet though. It’s very expensive, but has all the latest and greatest when it comes to fashion, haute couture and jewellery. We stayed at the Holiday Inn Orchard City Centre, a mid-level hotel a stone’s throw from Somerset MRT station and right next to ‘Cuppage Terrace’, a row of old restaurants and bars with a covered street terrace for great al-fresco dining. I have to be honest though, it’s very often far more comfortable dining indoors when the heat and humidity are making you sweat. Mrs C had a tough old time sitting in some of those steam-room conditions and we often made a beeline for the nearest mall in order to cool down a little before moving on to the next attraction. 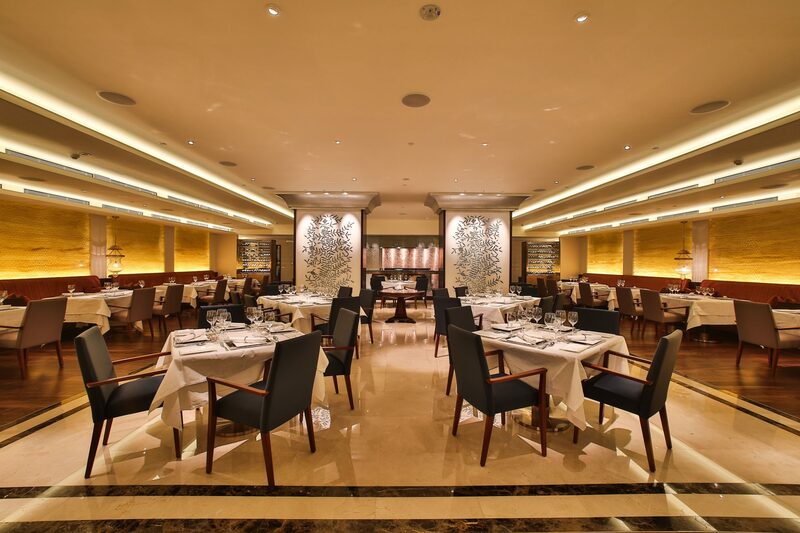 The hotel had its own very impressive Indian Restaurant called Tandoor, serving contemporary Indian Dishes in a bright, relaxed atmosphere and the Window onto the Park was a great location for the impressive buffet breakfast that was served daily. On our visit to Tandoor we ate some delicious dishes: Malabari Fish Curry, Mango Curry (different, but absolutely lovely), Butter Chicken, and Paneer Mattar Ka Tikka. 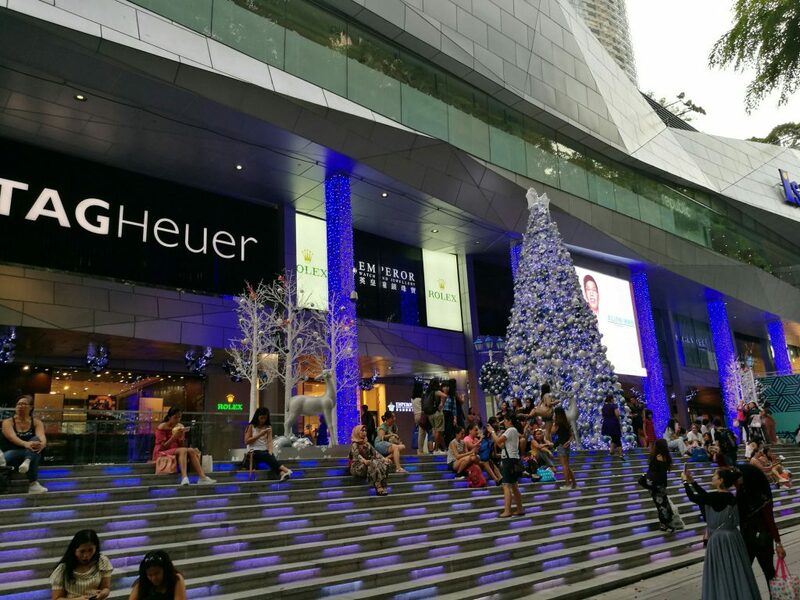 The famous Orchard Road, with its mile after mile of brightly lit shops and shopping centres was just a block away. 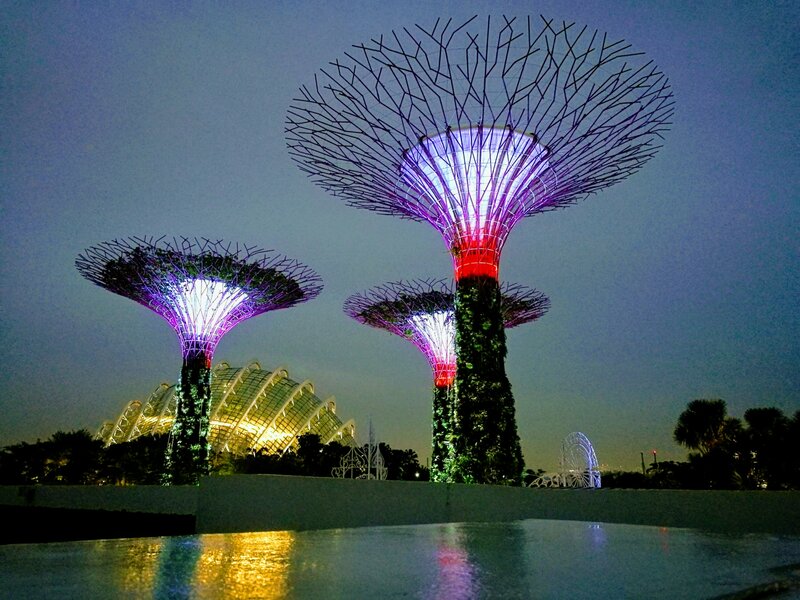 Singapore’s climate changes little through the year. There’s the hot season and the very hot season, both of which are accompanied by frequent rain showers. The city’s built for it though and you’re never far from a shelter wherever you happen to be. 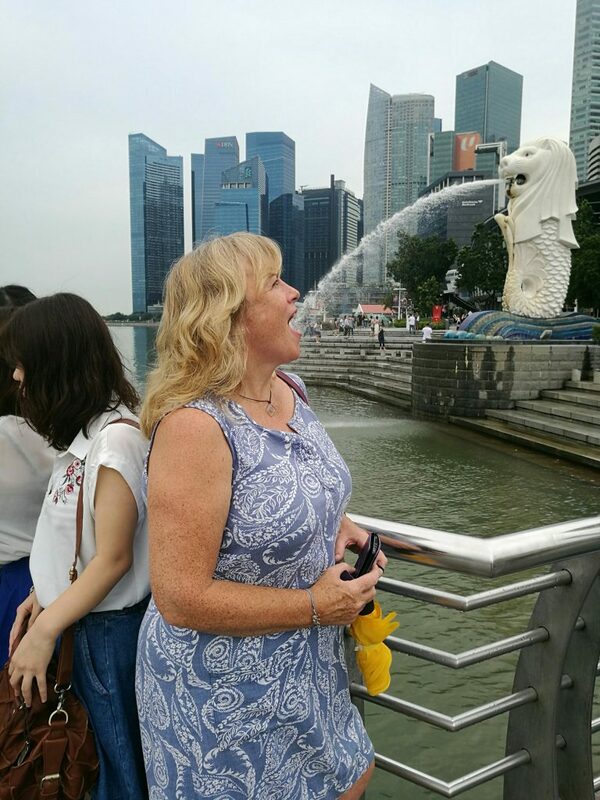 The city’s unusual ‘Merlion’ fountain (half mermaid, half lion – I know, don’t ask!) proved a popular stopping point / photo point. It’s always interesting what a bit of photographic perspective can create. I was ultimately a little disappointed with the way Singapore had changed over the decades. It’s certainly evolved and is a very impressive place to see – ideal as a stopover on the way to Australasia, or fine for a short visit. Spending any length of time here would I feel be a.) too expensive and b.) quite hard work. Like many of the world’s big cities, it involves lots of walking around and after three days we really felt quite tired and drained from the combination of heat, humidity and the sheer pace of life. It’s a must-see, but don’t stay too long!